Password risk status - shows empty, found, and not recovered passwords. Password complexity - displays the number of passwords and various character sets being used. 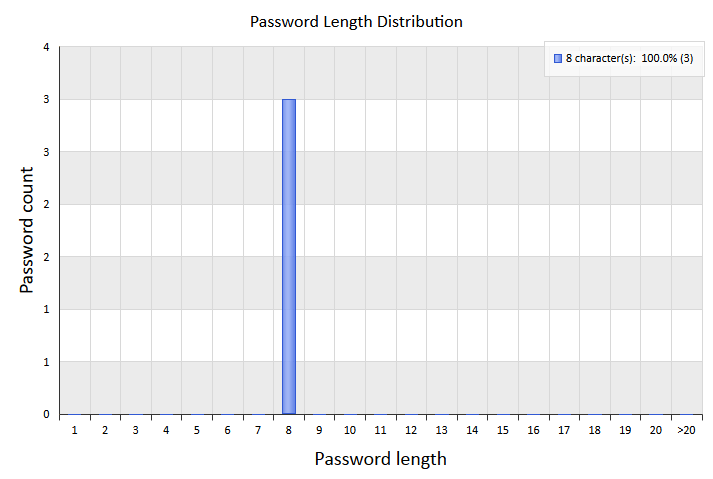 Password length distribution - reports length distribution of the broken passwords. Password recovery time - time took to crack the passwords. Recovered vs unbroken passwords - displays the number of broken and not-found passwords. Passwords found - bit detailed report on found passwords.